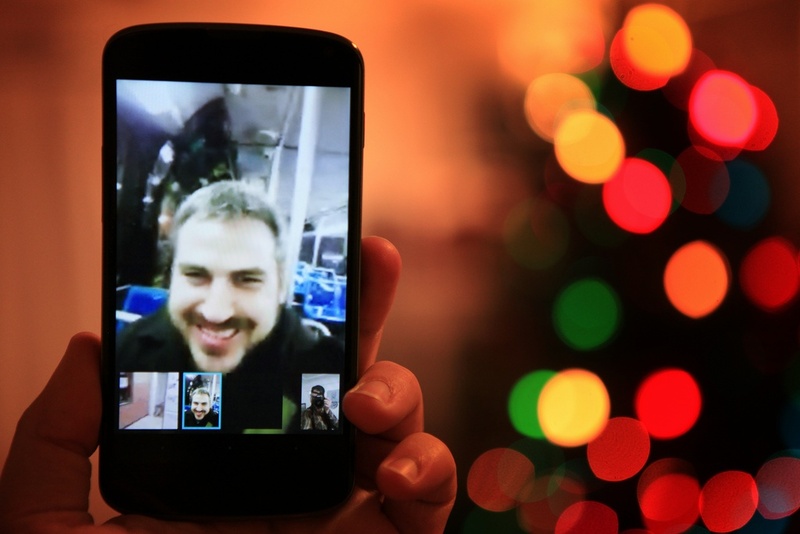 Cloud technology has transformed many online platforms, including video collaboration. Here are four benefits of taking your video collaboration in the cloud. The concept of mobility shapes our everyday lives—online shopping, telecommuting, being able to access information from anywhere—our need to be mobile drives them all. Likewise, even the way we work has changed. Work is no longer a physical location for many—thanks to video collaboration solutions and cloud technology. Collaboration solutions offer tremendous benefits to businesses of all sizes. Small and mid-sized businesses (SMBs) benefit from a lower costs and higher productivity. Enterprise-sized companies enjoy global communications and ease of scale. Collaboration technology continues to change. The most recent, and seemingly most ubiquitous change has been the emergence of cloud technology. First, it was used for data storage and disaster recovery. Host data in the cloud, and you never have to worry about data loss should your server be destroyed. It didn't take long for people to realize they could host collaboration solutions in the cloud, too. One of the biggest benefits of cloud technology—especially as it pertains to collaboration platforms—is its cost-effectiveness. SMBs in particular tend to shy away from new technology because it usually means more expenses and the need for an information technology (IT) department. Cloud technology, however, nearly negates the need for IT. Managed collaboration platforms are hosted outside the server and monitored by an outsourced managed services provider. When something goes wrong, a simple call to the platform provider is all it takes. That means small businesses don't have to worry about hiring in-house IT specialists, which results in significant savings. Aside from being cost-effective, cloud technology is inherently scalable. Scalability is important in today's marketplace. Businesses are growing rapidly and technology is always changing. Businesses need to be prepared to expand their operations at the drop of a hat, whether it is the ability to accommodate more customers, a new department, another office location, or something else. Traditionally, expansion would mean physically adding to the server, connecting new employees or departments, and a whole slew of expensive and time-consuming tasks. With cloud technology, scaling up a platform's capabilities is fast and easy. Because the technology isn't hosted by a physical server and is instead hosted in the cloud, it’s infinitely flexible. When you want to add more features or memory, it takes just a few mouse clicks. For all the security concerns surround cloud technology, it's actually one of the most secure options available. Think about traditional methods of creating data backups and disaster recovery. Before cloud technology, businesses would need to create a separate physical server to house their data. The server would need to be located somewhere that natural disasters or power outages affecting the company couldn’t reach. Obviously, this was exceptionally costly—to the point of being prohibitive in most cases. Cloud technology is not just a safer alternative to recovery centers, it's also the least expensive one. Obviously, one of the biggest benefits of collaboration technology in the cloud is accessibility. Before cloud technology, there was no connection between employees and collaboration software. Traditional methods of collaboration, such as emails and shared files, could easily get lost, corrupted, or were just hard to access in general. Now, cloud technology allows employees to access online data, regardless of when, where, and how they're accessing it. Increased accessibility has led to workplace flexibility, and now more people are telecommuting than ever before. What's more, the ability to collaborate seamlessly in the cloud greatly affects productivity and employee engagement. Cloud technology has made what were formerly enterprise-only solutions available to small and medium-sized businesses. Now, even small businesses can benefit from enhanced security, accessibility, and scalability. More importantly, they get the enterprise-sized conveniences without the enterprise-sized cost expenditures.